Stakeholders and homeowners fight to preserve this stretch of Coast Highway and the surrounding area. NEWPORT BEACH ― Plans to revitalize Newport Beach’s Mariners’ Mile village has another snag, due to the discontent of local residents. 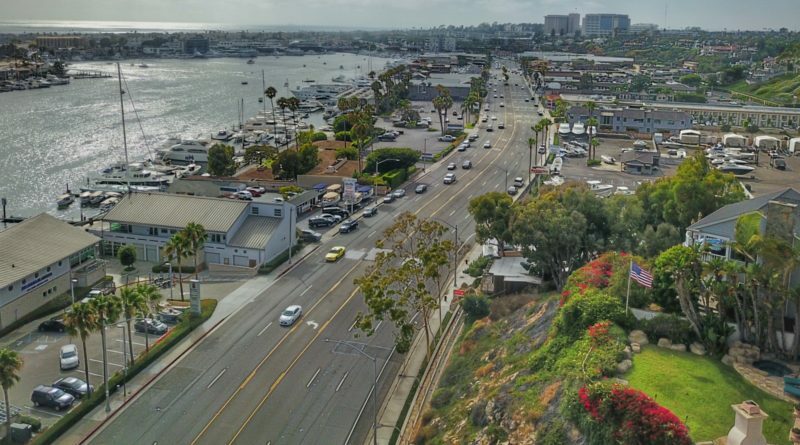 Negative public input during the Mariners’ Mile planning process has essentially caused the city of Newport Beach to scrap its revitalization plan for the coastal village along Coast Highway – although the door is not entirely shut to future planning. This marks the second time Newport Beach reverted back to square one in the quest to modernize Mariners’ Mile. The most recent plan encompassed modifying infrastructure, alleviating vehicular congestion as well as increasing pedestrian traffic along the stretch of West Coast Highway referred to as Mariners’ Mile, a 1.3-mile stretch of restaurants, offices, shops and marine activities nestled between the marina and homes (bounded by Dover Drive and Newport Boulevard). Many Newport Beach residents expressed discontent about widening West Coast Highway. The public are confusing the General Plan to expand West Coast Highway as being a part of the master plan to revitalize Marines’ Mile, according to city staff. “Many comments centered around the potential widening of West Coast Highway, which is an existing requirement of the General Plan and Regional Master Plan of Arterial Highways. While this was not a topic of the Mariners’ Mile Revitalization Master Plan, many commenters instead seek a reexamination of this existing widening requirement,” Nova told The Log. Public Work staff, however, discussed the widening of West Coast Highway at the public workshops for Mariners’ Mile Revitalization Master Plan. City officials also presented plans involving Newport Heights and Cliff Haven, such as diverting traffic onto Avon Street to relieve some of the congestion on West Coast Highway. The public complained about diverting traffic onto residential streets with no sidewalks, obstructing views and disregarding a nautical theme. These concerns and more were raised by the public at the Jan. 26 workshop and again at the April 20 Newport Beach Planning Commission meeting. A “Coalition to Protect Mariner’s Mile” was formed with home and business owners to oppose the city’s proposed plan for this area. The Mariners’ Mile Revitalization Plan, “being promoted by the City, along with a separate but integral proposal to widen [Coast Highway] to a six-lane artery, is the latest and potentially greatest threat to Mariner’s Mile. While paying lip service to previous documents such as the 2000 Mariner’s Mile Strategic Vision and Design Framework, which pointedly recommends against [Coast Highway] going to six lanes, the new plan would rob Mariner’s Mile of its unique character forever,” the Coalition to Protect Mariner’s Mile website states. Opposition to the revitalization plan obviously expanded to a larger audience, as city officials acknowledged they had to go back to the drawing board and rethink plans. “Based on numerous public comments received, this plan may be best reconsidered following the General Plan update where concerns such as the widening of West Coast Highway, development density/intensity limits, and height can be discussed on a broader scale,” Nova stated. This was not the first time city officials made plans to make changes to this Newport Beach corridor and then put the brakes on moving forward. The city hired a consulting firm and held public workshops back in 2014 only to have the plans quashed several months later. Stalled plans to update Mariners’ Mile coincided with the death of Don Haskell and selling of Ardell Investments to a private investor. Haskell had owned a stretch of waterfront property on Mariners’ Mile, while his company, Ardell Investments, was a steady and long-term marine presence in the village. Newport Beach hired a consulting firm again and entered into a contract with PlaceWorks, Inc. on May 24, 2016. “The consultant contract for the Mariners’ Mile Revitalization Master Plan is $206,922,” Nova said. “City staff and the project consultant have worked on this project for just over one year. “The work to produce the draft Master Plan has been productive and will not go waste as the plan is refined in the future,” Nova continued. Newport Beach City Council designated six revitalization areas within its municipality in 2011. Mariners’ Mile is the final vicinity being studied. The other five regions are Lido Village, Balboa Village, Corona del Mar, West Newport and Santa Ana Heights at Bristol Road South. ← Boating Apps: How do you Navigate the Mobile Minefield? Urgent! PLEASE keep the design process with an eye for preservation of the coastline structure specifically the former Stuft Shirt Restaurant/ Amarees boutique . which generations of Southern Californians and the world continue to visit and experience and appreciate as both a public space and a fashion boutique. Amaree’s refurb’d the space meticulously in early 21st century exactly as Thornton Ladd & John (contemporaties kf architect Frank Gehry AIA) Kelsey AIA had envisioned in the mid 20th C. OC has such an opportunity NOT to scrap this treasure..enhance your development by keeping the building making it your center piece. Show us OC knows what its got and is fiercley protective ..the loss of this building would a pitiful statement on progress intelligently planned.. Architecture in Southern California is now recogniced WORLDWIDE and its evolution from orange groves to ART and ARCHITECTURAL center point has its roots in Orange County with buildings like this.